(Member) Born Mason City, Iowa, April 22, 1933; admitted to bar, 1958, Iowa; 1960, Florida (inactive); 1961, U.S. District Court, Northern District of Iowa. Education: University of Iowa (B.A., 1956; J.D., with distinction, 1958). Phi Delta Phi; Omicron Delta Kappa. Assistant County Attorney, 1961-1965. Listed in The Best Lawyers in America, Trusts and Estates, 2000-2007. Fellow, Iowa State Bar Foundation. Member: Cerro Gordo County (President, 1978), Iowa State (Member, Corporation Committee, 1982-1990) and American (Member, Sections On: Corporation, Banking and Business Law, Real Property, Probate and Trust Law) Bar Associations Practice Areas: Corporations; Probate; Estate Planning; Real Estate. (Member) Born Iowa City, Iowa, September 7, 1943; admitted to bar, 1968, Iowa; 1970, U.S. District Court, Northern District of Iowa. Education: University of Iowa (B.B.A., 1966; J.D., 1968). Phi Delta Phi. Member: Cerro Gordo County (President, 1987), Iowa State and American Bar Associations; Iowa Trial Lawyers Association; American Trial Lawyers Association. 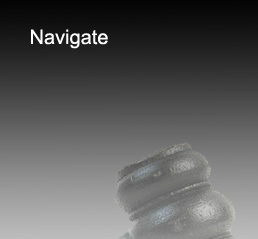 Practice Areas: Personal Injury; Litigation; Employment Law. (Member) Born Mason City, Iowa, November 27, 1951; admitted to bar, 1977, Iowa; 1978, U.S. District Court, Northern and Southern Districts of Iowa; 1985, U.S. Tax Court. Education: University of Iowa (B.B.A., with high distinction, 1973; J.D., with distinction, 1976). Certified Public Accountant, Iowa, 1974. Bankruptcy Trustee, 1982?Present. President, Cerro Gordo Estate Planning Council, 1981-1982. Listed in The Best Lawyers in America, Bankruptcy Law, 2000-2005. Member: Cerro Gordo County (President, 2002), Iowa State (Member, Sections on: Taxation, Commercial and Bankruptcy Law and Law Practice Management) and American Bar Associations. Practice Areas: Business Planning; Taxation; Bankruptcy; Probate; Estate Planning; Real Estate. (Member) Born Fort Dodge, Iowa, November 13, 1956; admitted to bar, 1982, Iowa; 1984, U.S. District Court, Northern and Southern Districts of Iowa. Education: Iowa State University (B.S.E., 1979); University of Iowa (J.D., with distinction, 1982). Law Clerk to U.S. District Judge Donald E. O'Brien, Northern and Southern Districts of Iowa, 1982-1984. Member: Cerro Gordo County, Iowa State (member, Sections on: Litigation and Workers' Compensation; Member, Federal Practice Committee, 1987-1993) and American (Member, Litigation Section) Bar Associations. Practice Areas: Litigation - Federal and State; Personal Injury; Workers Compensation; Insurance Defense; Civil and Constitutional Rights; Employment Law. Born Mason City, Iowa, January 2, 1972; admitted to bar, 1997, Iowa. Education: University of Iowa (B.B.A., 1994; J.D., with distinction, 1997). Member: Cerro Gordo County and Iowa State Bar Associations. Member: Commission on Continuing Legal Education 2006-present. Practice Areas: Real Estate, Trusts and Estates, Estate Planning, Corporate/Business Planning, Employment Law, and Transactional Law. Born Humboldt, Iowa, May 28, 1973; admitted to bar, 1999, Iowa; 1999 U.S. District Court, Northern District of Iowa. Education: University of Iowa (B.B.A. with honors and high distinction, 1996; J.D., with distinction, 1999). Member, 1997-1999 and Note and Comment Editor, 1998-1999, Journal of Corporation Law. Certified Public Accountant, Iowa, 1999. Member: Cerro Gordo County (Secretary, 2000; Treasurer, 2002), District 2A (Treasurer, 2010 - present), and Iowa State (Member; Sections on: Business Law and Taxation; Executive Council, Young Lawyer's Division, 2002 - 2005). Practice Areas: Estate Planning, Trusts and Estates, Estate Administration, Elder Law, Taxation, Corporations, Business Planning, Real Estate, Transactional Law, Adoption, Juvenile Law, and Family Law.